Rolex watches are perhaps the finest timepieces in the world. They’re known for their close attention to detail, beautiful design and use of cutting-edge technology. Rolex is undoubtedly the most powerful name in luxury timekeeping, evident in the fact that you’ll find the world’s most influential men and women sporting it. It carries a legacy with itself that can be treasured and passed over generations. 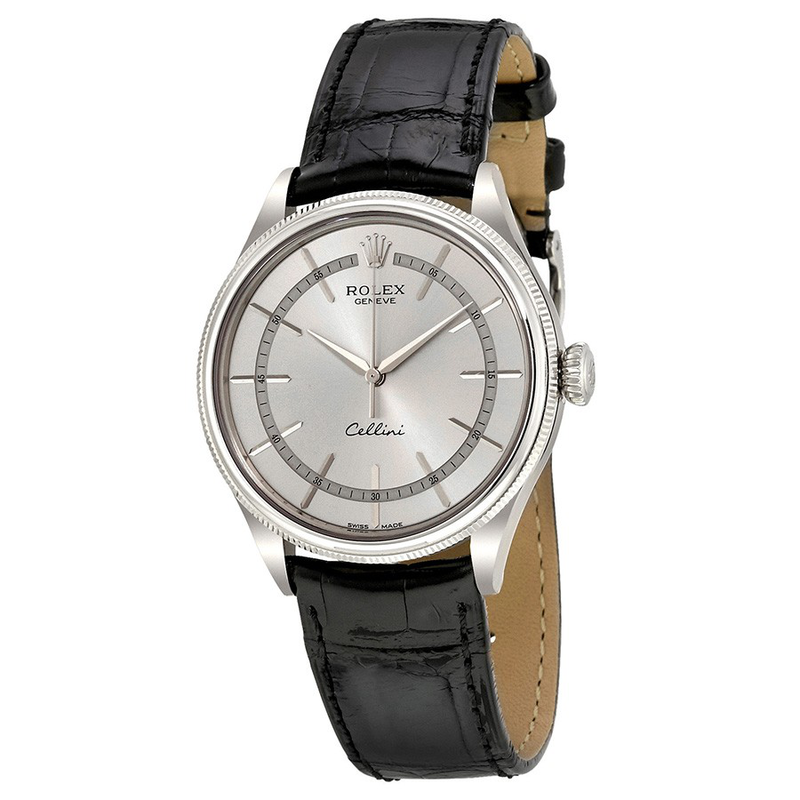 Being the most desirable watch brand in the world, people wish to buy a Rolex to commemorate a number of special occasions – to celebrate an important achievement, to make a statement about their level of success, to solidify their presence in the C-suite, to pass it on as an invaluable heirloom, or to celebrate the long, respected history stored in a Rolex. Once you know the reason why you’re looking to buy a Rolex, the next natural thing to do is find a timepiece that best complements your personality. Finding your match among such a wide collection can be a mean feat. You should head to a trusted retailer of Rolex watches such as Ethos Watch Boutiques and make the best of their expertise in the field. 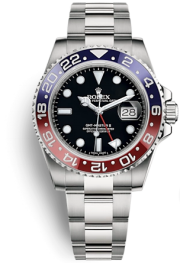 Originally designed for professionals, the GMT Master II by Rolex was quick to catch the fancy of many for its rugged exterior and exceptionally good looks. Its beauty is backed by tough form and function, making it perfect for travelling and globetrotting. What makes the gorgeous timepiece truly spectacular is its ability to display different time zones; you’re never going to have to look at your phone again to see the time back home. The luxury aspect of the watch is brought to life with the use of high quality 18ct gold alloy, true to Rolex’ commitment to fineness and perfection. The distinctive black dial with hour markers fashioned from 18ct gold is a classy touch and makes the dial easily readable. 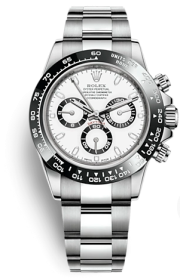 Anyone who feels that a sporty watch cannot look classy or elegant hasn’t seen the Rolex Daytona yet. The cult-defining model was originally made keeping in mind the demands of professional racers. Today, its impeccable form and impressive features have found their way to the hearts of all watch lovers – racers or not. The most eye-grabbing feature of the watch is its exquisite white and black dial with a seconds hand that allows a reading of 1/8 second. The Rolex signature Oyster bracelet and 4130 self-winding, mechanical chronograph movement make the Cosmograph Daytona a high performance, reliable choice – ideal for a man who enjoys an adrenaline rush. 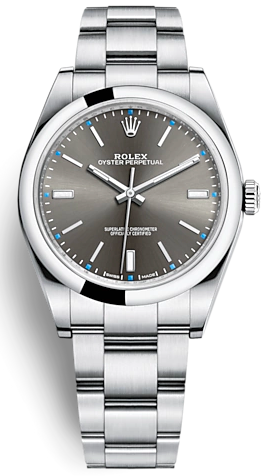 The Oyster Perpertual 39 by Rolex is an iconic piece that is bound to find a permanent place on your wrist. Its versatile design makes it perfect for just about any occasion as you can readily pair it with whatever you’re wearing (or doing). The attractive dark rhodium dial, use of 904L stainless steel and the oyster bracelet make it a timeless pick that is never going to go out of style. The exquisite timepiece is effortlessly stunning and goes to prove that simple is always beautiful. The Cellini Time is a celebration of everything classic, sophisticated and elegant. It blends the best of traditional design and modern minimalist aesthetics to create a truly timeless appeal. The simple, clear rhodium dial and black alligator leather strap with large scales make the model a win-win for the contemporary man with traditional taste. High standards of perfection are maintained in every small detail of the decadent timepiece. The diverse collection of men’s watches by Rolex has something for everyone. Find a piece that elevates your charisma and adds to your unique charm.